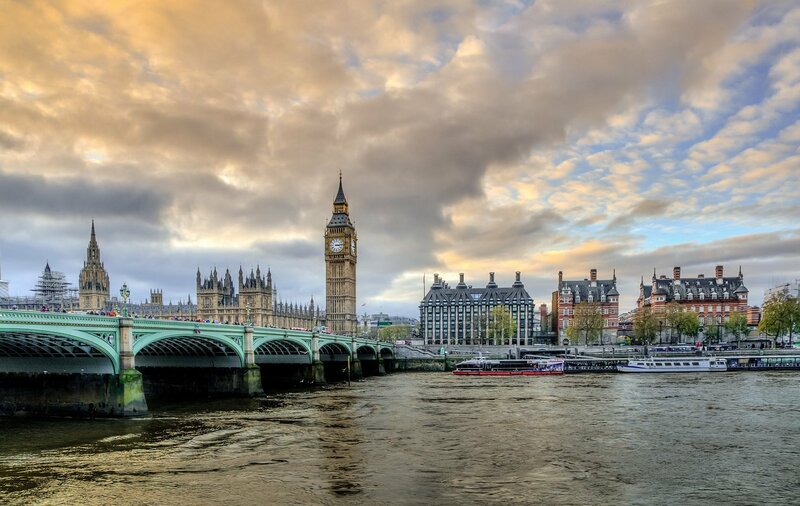 London is a popular travel destination for reasons innumerable—bespoke fashion and luxury shopping among them. Distinctive designer apparel fills shop front windows and boutiques burst with original, trendy designs. Designer clothing and accessories—including eyewear—come from all over Britain, not just the luxury shops that line London’s streets. The UK isn’t known for its abundance of sunny days, but the still British seem to know a thing or two about sunglasses. These sunnies styles from British brands have caught our eye. Lee Alexander McQueen founded the luxury clothing house, Alexander McQueen, in 1992. Prior to beginning his own label, McQueen apprenticed with Anderson & Sheppard, Savile Row tailors. The shock factor of his designs brought fame—and criticism—to the brand. After McQueen’s death in 2010, Sarah Burton took over as Creative Director. Burton launched a women’s line, and earned worldwide praise for the stunning dress she designed for Catherine Middleton, Duchess of Cambridge, for her wedding to Prince William. Alexander McQueen’s eyewear styles show off the same bold sense of style as the clothing lines. 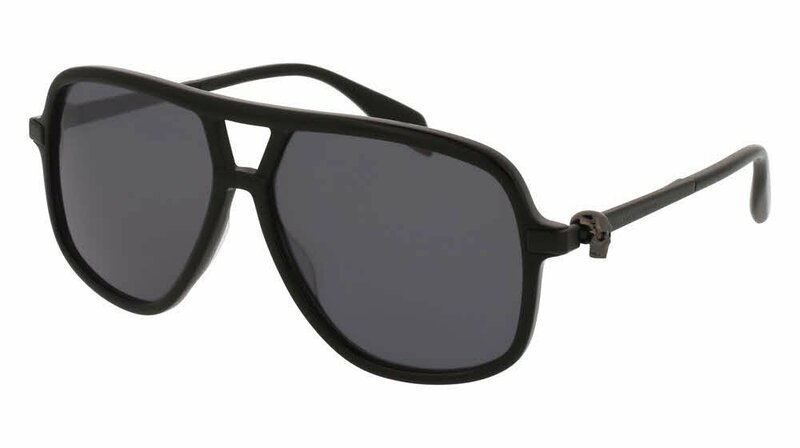 Skulls, a motif that had a hand in the brand’s skyrocketing fame, can be found throughout the eyewear collection. Check out these eye-catching frames with dramatic details. The British source for bespoke spectacles is Savile Row Eyewear—their glasses are handmade, from gold, using machinery that’s more than 100 years old. They’ve been hand-making eyewear at the Algha Works factory on Fish Island, in East London since 1932. Though styles may have changed significantly since the 30s, their attention to detail and classic details have not. It is said that it takes two years for the staff to learn to work the antique machinery. Whether you know it or not, you’ve seen Savile Row Eyewear everywhere—John Lennon, Harry Potter, Indiana Jones, and even Queen Elizabeth have stepped out in this luxury brand. Burberry, a designer that produces elegant styles even the Queen adores, was founded in 1856. Waterproof gabardine fabric was invented by Thomas Burberry, and he used the material in his outerwear designs that protected explorers on treks to the Antarctic and up Mount Everest. During World War I, long gabardine coats were created for military personnel to wear in the trenches—which earned the outerwear the name ‘trench coat.’ Burberry’s trench became popular among men and women, and new styles emerged. Later, the Burberry check used to line coats earned its own fan base—and many imitators. Queen Elizabeth II and Prince Philip have both awarded Burberry Royal Warrants, the seal that signifies the brand is used by members of the Royal Household. 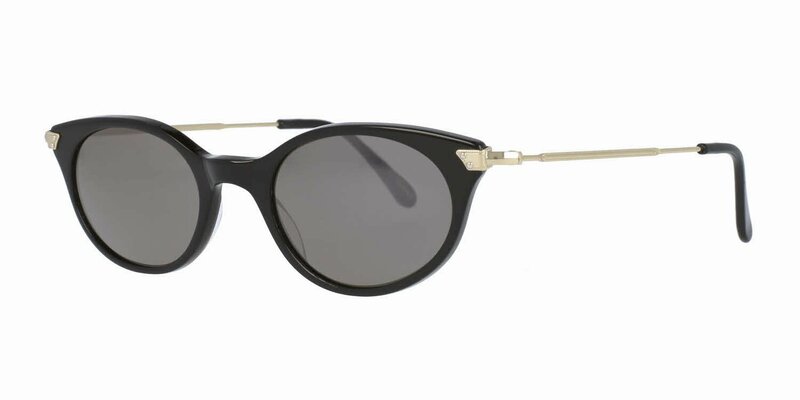 Burberry eyewear debuted in 2006—check out these elegant sunglasses that recall the attention to detail Thomas Burberry required 150 years ago in his small shop in London. Ray Kelvin, founder and chief executive of Ted Baker, is never photographed without something covering his face. Though the unconventional design guru claims his reasons for avoiding photos is because nobody wants to look at his ugly mug, the truth is that he’s not looking for the spotlight. His priority is on his products and the people that buy them, rather than making himself a celebrity. He started his business modestly—he began with a single Glasgow shopfront in the late 1980s—then a surprisingly popular shirt rocketed him to international fame. His passion can be seen in his quirky styles and bold designs. Maybe he goes incognito wearing one of these Ted Baker eyewear styles. 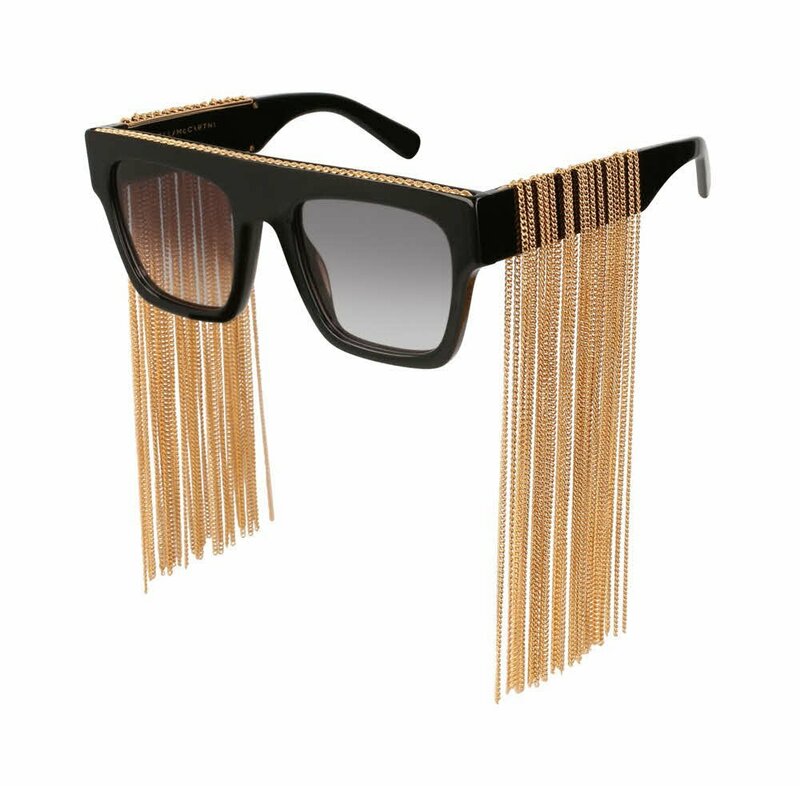 If statement-making frames are on your list of wardrobe must-haves, Stella McCartney has you covered. The daughter of Paul McCartney (yes, that Paul McCartney) sets herself apart from other designer brands by creating outstanding styles while keeping an eye on the environmental impact of producing them. 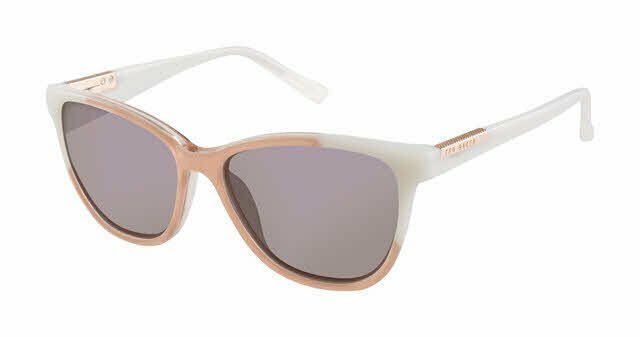 Stella McCartney doesn’t use animal products in any designs, and instead focuses on renewable, eco-friendly sources—the eyewear line is no exception. 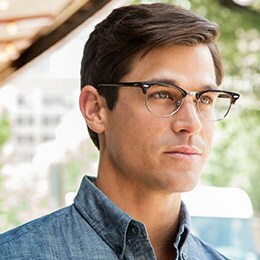 Glasses frames are made from bio-acetate, a material made from renewable sources such as cellulose from castor seeds rather than fossil fuels, and natural plasticizers from citric acid. Sustainable materials and daring style—could it get any better? 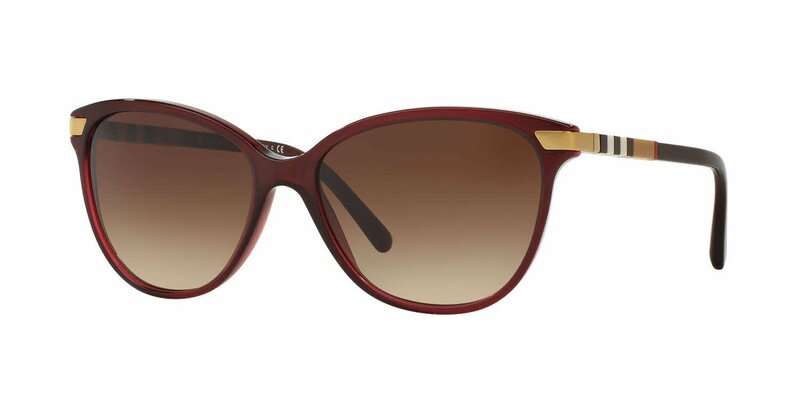 Check out these Stella McCartney sunglasses to find the classically feminine or outstandingly bold look you love. Brands like Burberry and Savile Row are part of Britain’s solid foundation of luxury goods designers, while Stella McCartney, Ted Baker, and Alexander McQueen prove that the UK holds a stable position on the design scene. Though the styles offered by these luxury brands are varied, there’s a common theme—keeping up the tradition of impeccable British design, while always staying a step ahead when it comes to style.